"Oxford's most intimate music venue." The Jacqueline du Pré Music Building was the frst purpose-built concert venue in Oxford since the Holywell Music Room, which dates from the time of Handel. A joint fundraising campaign by St Hilda’s College, of which Jacqueline du Pré was an Honorary Fellow, and the Musicians’ Benevolent Fund raised over £1 million with the support of a wide range of institutions, trusts, and very many private individuals. The Music Building was opened in September 1995 with a gala concert given by the Medici Quartet and the English Chamber Orchestra, in the presence of HRH the Duchess of Kent. Steven Isserlis became the JdP patron in 1998 and regularly performs to a packed Edward Boyle Auditorium. Designed by architects van Heyningen and Haward, with acoustics by Arup Acoustics, the Music Building boasts the 200-seat Edward Boyle Auditorium - now equipped with Steinway D concert grand piano - four practice rooms and an electro-acoustic studio, all with excellent disabled access for performers and audiences alike. 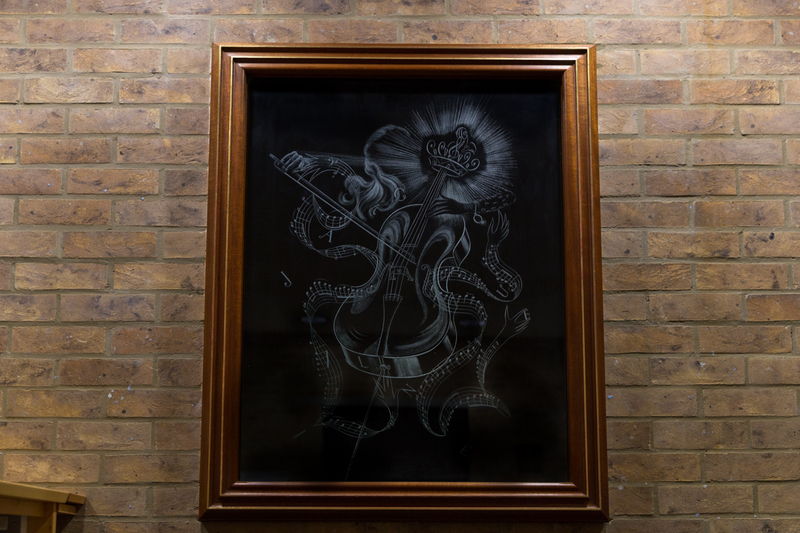 The enduring spirit of Jacqueline du Pré is refected in a striking glass engraving by Laurence Whistler and other works of art around the building. Thanks to a legacy from the Rev. Brian Duke in 2002, the Brian Duke Foyer was added, also designed by van Heyningen & Haward. This elegant glass structure complements beautifully the original music building and is a great asset, serving both audiences and musicians. 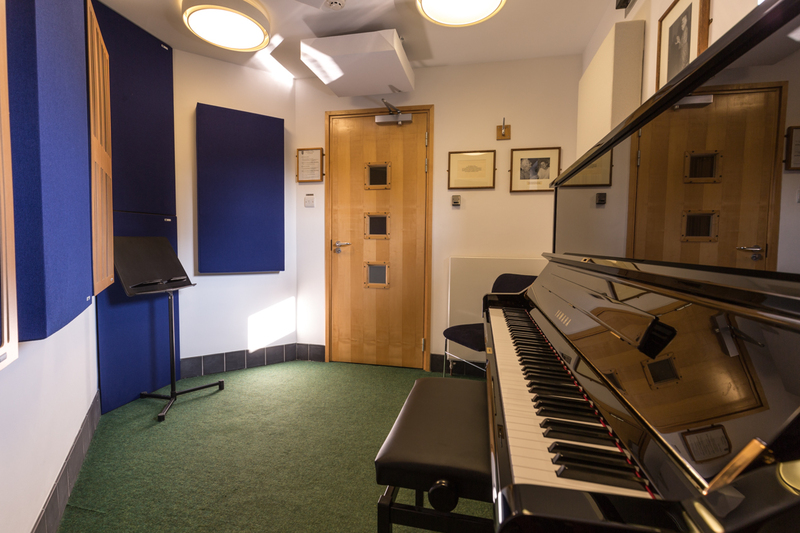 From 1994 to 2006, the College devolved responsibility for the Music Building and its programmes to a subsidiary charity, the Jacqueline du Pré Music Building Company. Its Board of Trustees, which included Fellows of the College and others with knowledge of the musical world, oversaw the establishment of the Music Building as a respected venue hosting performances by artists of international reputation, providing a base for prestigious Festivals, and promoting a wide range of educational and community events. In 2001, the Belcea Quartet became the JdP Quartet in Residence - returning in 2015 for a special concert at the building's twentieth anniversary weekend celebrations - and a long and distinguished line of performers continue to accept the invitation to perform in the JdP’s own series of concerts. Recent performers include Nick van Bloss, Michael Collins, Bernard d'Ascoli, Jonathan Biss, Joby Burgess, Brodsky Quartet, Richard Casey, Cavaleri Quartet, Natalie Clein, Nicholas Daniel, Mahan Esfahani, Fitzwilliam Quartet, Clare Hammond, Steven Isserlis (JdP Patron), Loré Lixenberg, Joanna MacGregor, Ian Pace, Piatti Quartet, Jonathan Powell (15-16 Featured Artist), Zoe Rahman, Connie Shih, and the Villiers Quartet.